Busquets look after your back Design and care. Busquets school backpacks and school supplies are designed using the latest design trends and seeking maximum utility for the school. Because their children have fun carrying backpacks and accessories design and practical for everyday at school. 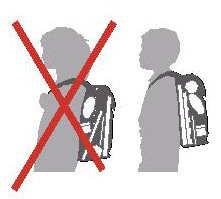 - Backpack position: Bookbags shall be worn above the waist line to avoid back injury. It’s highly recommendable that the adjustable straps are used to secure and provide sturdiness within the shoulder area. 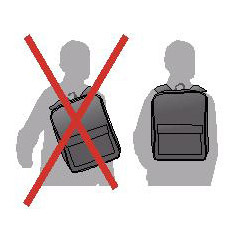 - Backpack position shoulders: The weight should be distributed evenly between the shoulders. Not intended to carry in a hand bag manner. 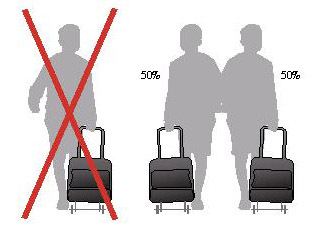 - Backpack weight distribution: Place items inside the bookbag accordingly. The heaviest or the largest pieces (normally books) should be placed in a vertical position, as close as possible to the back. - Trolley useage: For bookbags that include a trolley, it is advised for the kids to change arms. 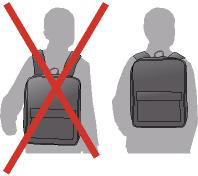 - Backpack weight: We recommend that the bookbags are weighed after enclosing the items inside. Bookbags shall never exceed a 10% over the child’s own weight, if so; a trolley is highly advisable. IMPORTANT! 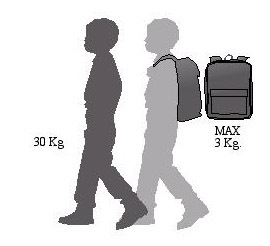 BOOKBAGS SHALL NEVER EXCEED A 10% OVER THE CHILD’S OWN WEIGHT.